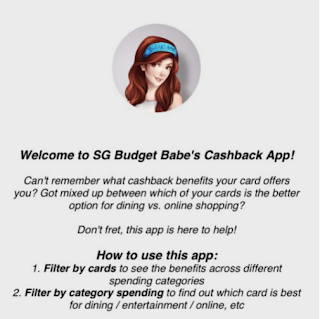 If you're not hacking the credit card game in Singapore to get free cash (back) or miles for money that you're already spending, it is about time you got on the bandwagon. I'm a huge advocate of credit cards because the way I see it, it is akin to someone coming up to you and giving you freebies (whether in the form of free cash or flight credits) on money that you're already spending anyway. Of course, just remember to pay off your bills on time, because late fees on overdue credit card payments and compound interest are one of the nastiest things ever! If you dine out and pump petrol often, the Citi Cash Back Card might just be the best fit for you. Want a high cashback rate without any minimum monthly spend? Try the HSBC Advance Card (and get an additional 1% cashback if you're already banking with them). Need one for your spending on public transport and groceries? The Citibank SMRT Card is the only cashback card that rewards you for travelling on the MRT or buses. Which credit card(s) should you use for your wedding purchases? Got a big ticket spend coming up, such as your wedding or house renovation? Make sure you have either the AMEX True Cashback Card or Standard Chartered's Unlimited Cashback Card. I've reviewed both of them side-by-side in this previous post here as well. Next, select and sign up for the cards that fit you the best while maximising the welcome gifts. 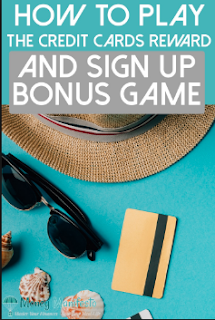 While there are often different sign-up bonuses offered by the banks, my personal preference is to always go through SingSaver instead because I get more rewards that way as their model involves sharing the affiliate costs with the user (aka you and me). This is in contrast to when you sign up with the salesperson at a bank or a roadshow, because the salesperson gets a cash commission of $60 or up for every successful application, and obviously none of that incentive goes to you (now you know why they can be so persistent sometimes!). Having said that, I'm not adverse to signing up at roadshows if the incentive is good enough (such as a free Samsonite luggage, etc)! American Express True Cashback Card : get $150 cash and enjoy 3% bonus cashback for your first 6 months. Perfect for newly-engaged couples who are about to pay their wedding vendors, or couples with housing renovations due! Citibank SMRT Card and Citi Cash Back Card: get $150 NTUC vouchers upfront! 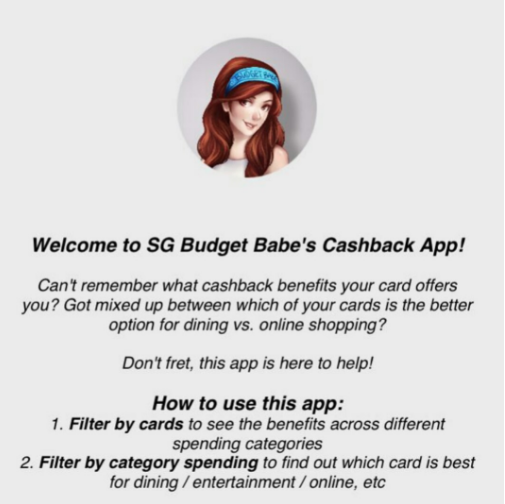 Once you've received your credit card(s) and the welcome rewards, if you need a tool to help you track and remember which cashback credit card to swipe for which category, try this free SGBB Cashback App - which I developed with fellow readers as a passion side project to manage multiple cashback credit cards and stay on top of the game! It is available for both iPhone and Android users, and no, I really don't get a single cent (nor your personal data, since none is collected nor asked from you) from this whether you decide to use it or not! If you prefer collecting miles so that you can redeem free flights for your next holiday instead, I've reviewed some of the best miles credit cards in a previous post here with my friend, the MileLion. Did you know that you can also bypass the exclusion clauses which dictate that you cannot earn miles for mandatory spending on your insurance and income tax? Through this nifty hack called CardUp, you can actually clock miles for paying off these bills that you cannot run away from and never got to enjoy any rewards on previously! I'm by no means a miles expert, but as a general rule of thumb I look out for miles credit cards that do not require any minimum spend each month + offer a rate that's at least 1.2 miles per $1 spent locally. That's why I'm not the biggest fan of the Standard Chartered Visa Infinite Card, which only gives you 1.4 mpd IF you spend the minimum of $2000...otherwise, be prepared to get only $1 mpd realistically. Citi PremierMiles : for its generous welcome bonus of 30,000 miles and 1.2 miles per $1 spent locally. Also get $150 of NTUC vouchers upfront. American Express Krisflyer Ascend : gives you 3.2 miles for every $1 spend on Grab rides (max. $200 per month), making it the best miles card for this category. Also get $150 cash upfront when you apply! I generally ignore the cards for overseas spending, because as attractive as 3 mpd (on SC Visa Infinite) sounds, that comes with a hefty 3.5% foreign exchange fee. No thanks, I'd rather use my DBS Multi-Currency Account (review here) for such overseas spending instead. So go on and compare, and make sure you get on the credit card bandwagon for its world of free cash, welcome gifts and air miles! There's a lot more benefits to be claimed for money you're already spending, so don't stick to cash payments or you'll be missing out on all of these. BOC Family is fantastic! I've named them as one of the top cashback cards in my guidebook which is linked in the post above too :) and their miles card, boy oh boy! 2mpd is a real gamechanger!